Resurrecting the Zuchold-Schleudern and keeping her difficulty in college. 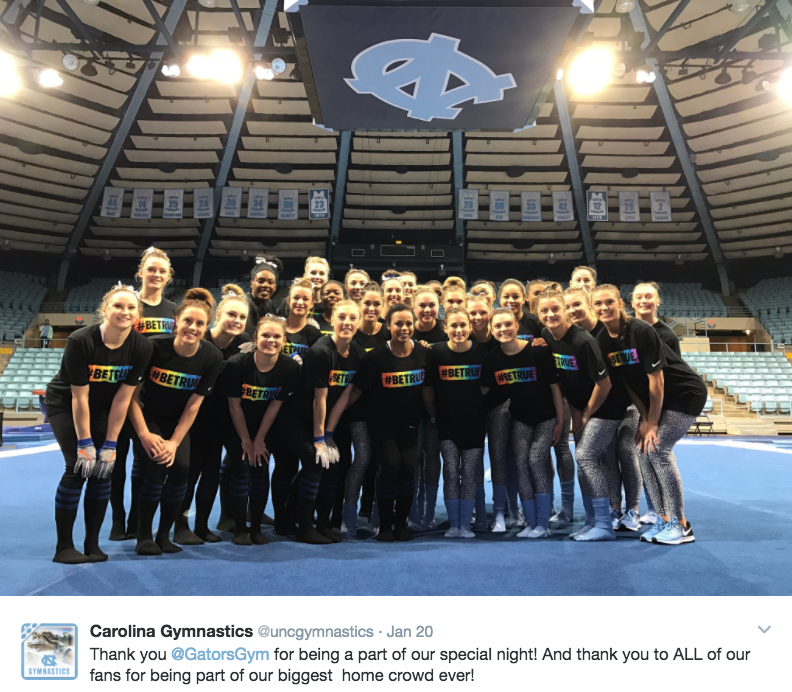 Amy Smith, NCAA champion gymnast and current associate head coach at the University of North Carolina tells us about the historic #BeTrue, LGBTQ Community Support meet at UNC vs. Florida last weekend. 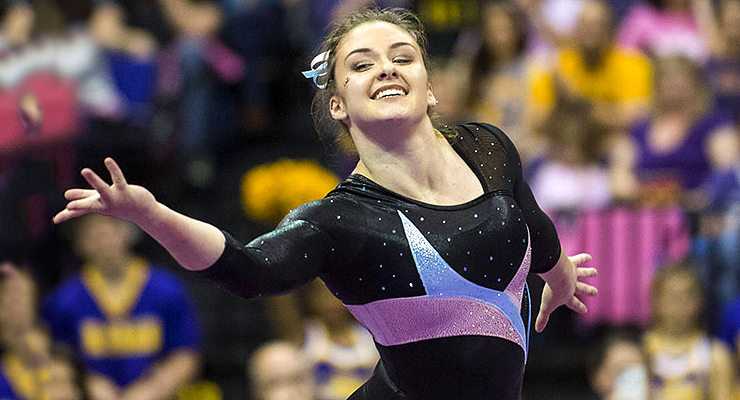 This first of its kind in the history of gymnastics, had the largest crowd EVER for the UNC gymnastics program. Buy one of our awesome swag here. Florida and UNC gymnasts pose together to show their support for the LGBTQ Community at this historic civil rights gymnastics competition. HOW: Tell us what the historic UNC LGBTQ meet meant to you. Be as creative as you want. A story about how gymnastics helped someone come out. Or how gymnastics taught you to be a better ally. 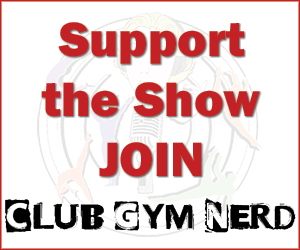 Use the hashtag #ThxUNCgym on Twitter, Instagram or Tumblr. We will pick a winner from a random drawing of entries.